Hermit crab walk on the beach. Hermit Crab is very unique because it is a creature that resembles a crab but require home (usually empty snail shells) which will be taken here and there to protect the soft parts of their body. Although resembling crab, hermit crab has its own species and consists of the 1100 species known. Although hermit crabs usually use snail shells to serve as 'home' for their protection, there is also a hermit crab using stones or empty timber as cover material. 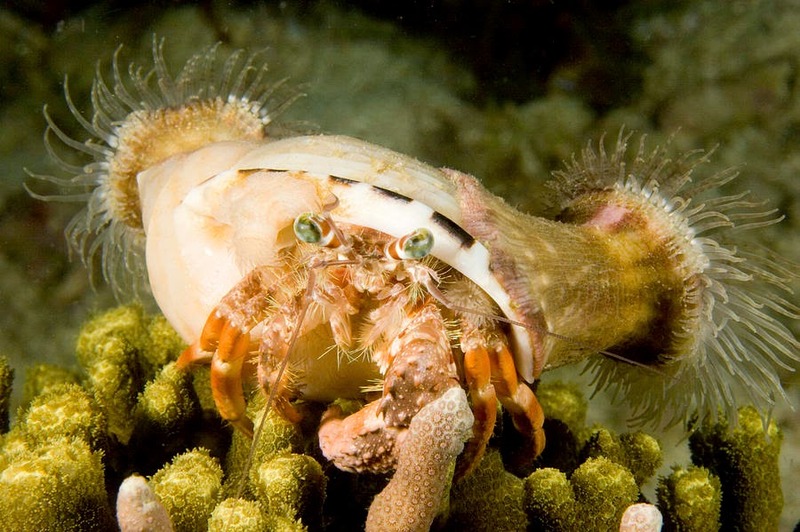 Hermit crab body is too soft and become an easy prey for predators. Hermit crabs inhabit the ocean at various depths, whether on the beach, or even in the shallow waters or deeper. 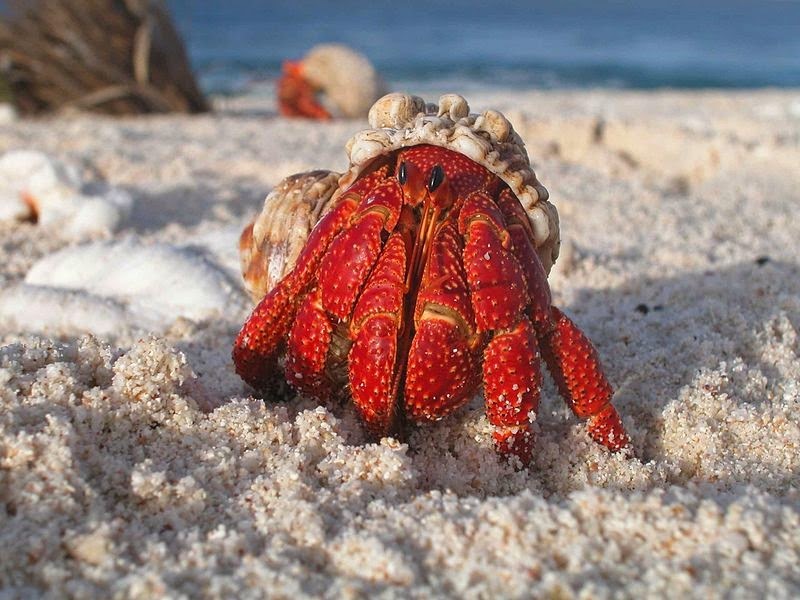 In the tropics there are hermit crabs that live on land (as well as species of land crab and coconut crab). It is nevertheless going into the sea to lay their eggs and hatch their eggs. Besides, most of the hermit crab is out at night to find food. The biggest problem for a hermit crab is when it’s getting bigger; it needs to get bigger shells to enable it to be comfortable. The narrow shells will cause stunted growth and the possibility of losing their very precious shelter. You may be surprised to see a competition between a hermit crab to grab the empty shells to be used as a shelter. This competition may cause a hermit crab kill each other. Hermit crab with sea anemones. For some larger species, the security measures are also using sea anemones to scare other predators. This is because sea anemones have poisonous tentacles that could have resulted in the deaths of these predators. Sea anemones will benefit from a hermit crab food waste as one of the rewards of this partnership. To give you a clearer picture about the fierce competition in the life of a hermit crab to get protection (shell), you may watch the video below for a better understanding.